Environment Canada is investigating Vale's smelting operations in Sudbury, Ont., for allegedly leaking toxic run-off into local waterways since at least 1963. The allegations are contained in a warrant the government agency used to seize documents, computers and related materials from Vale's Sudbury offices on Oct. 8 as part of its investigation into potential violations of the Fisheries Act. In the warrant, Environment Canada accuses the company of allowing "acutely lethal" seepage from the smelter waste piles into water frequented by fish, and of knowing about the leakage for years. The warrant contains allegations not proven in court. The accusations indicate the seepage started well before Vale took control of the smelter when it acquired Inco Ltd. in 2006 for US$17.6 billion. The Environment Canada investigation was triggered after a Sudbury resident noticed a "foamy, lime-green coloured substance in a creek" in October 2012. 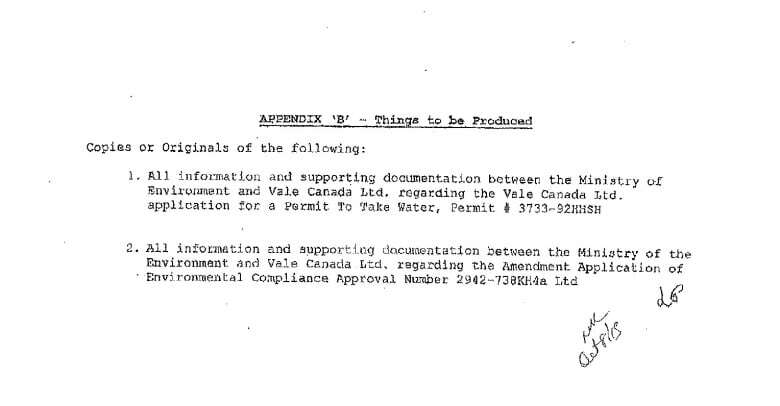 The federal agency's officers followed the seepage back to Vale's Copper Cliff smelter slag storage area, the document says. It says the slag storage area is a massive, 200-hectare waste dump in active use since 1929, with more than 115 million tonnes of smelter waste. Gordon Moore, who drafted the warrant and was one of the Environment Canada enforcement officers who responded to the 2012 incident, said in the document that at the time he found light greenish-coloured water flowing from the smelter waste heaps onto a Sudbury Catholic District School Board property and then into the city's storm drains. The warrant says those storm drains flow into Nolin's Creek and then into Junction Creek, both of which, according to Environment Canada, are considered fish-bearing creeks. Vale is quoted in the warrants as disputing that Nolin's Creek is fish-bearing, and says the run-off would be diluted by the time it reaches Junction Creek. Moore says in the warrant that tests on the substance found in the creek in October 2012 showed it killed all fish in the test within 24 hours. To be considered "deleterious" — or harmful under the Fisheries Act — a sample has to kill at least 50 per cent of fish within 96 hours. Samples from the creek showed nickel levels to be 68 times higher than regulated limits and copper levels 2.6 times higher, while tests on water from the school board property showed nickel levels to be 305 times the limit, the warrant says. 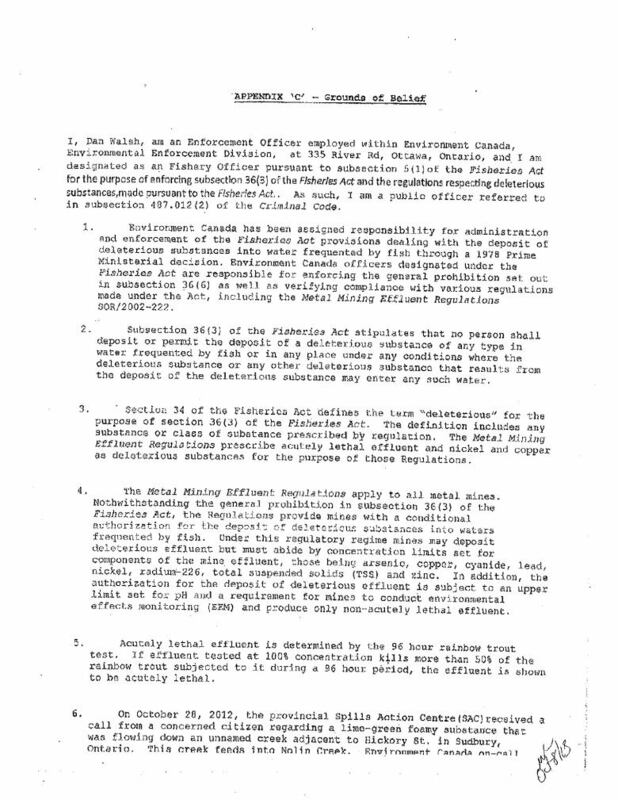 The document adds that Environment Canada spoke with Denis Faucher, manager of facility services at the school board, who told investigators that the back of the property was always wet, even in dry summers, and that "he had observed various coloured water coming through Big Nickel Mine Drive onto the school board property since at least 1988." Moore says in the warrant that aerial photographs from 1963 show water flowing from the waste heaps onto the nearby property, and that the width and depth of the erosion around the stream also indicate the flow has been going on for decades. 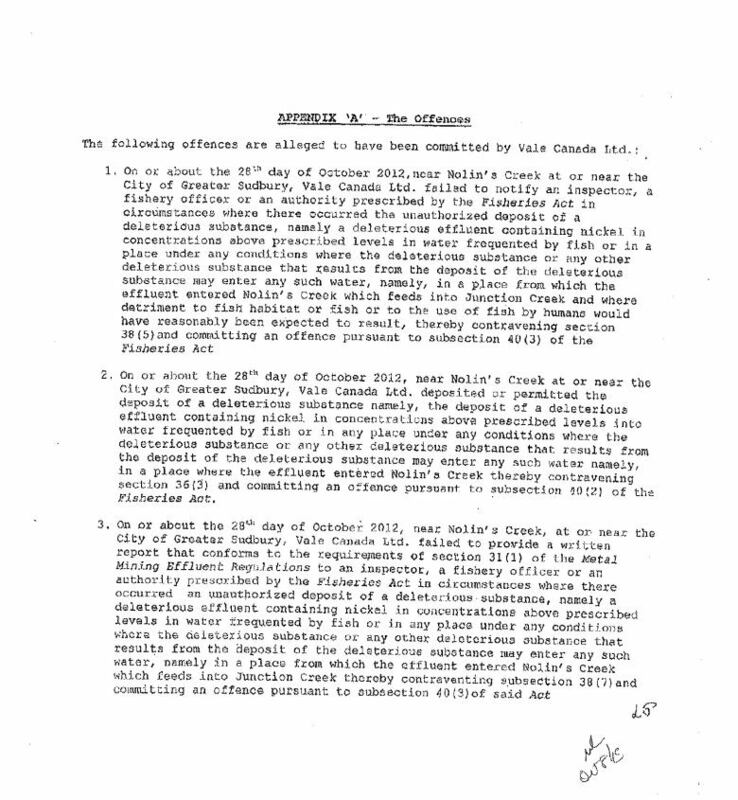 The warrant also says that a study done for Vale by independent environmental consultant Water Earth Science Associates in 2012 found that water was seeping onto the school board property during dry times at a rate of 45 litres per minute in one area, and 180 litres a minute in another for a total of 324,000 litres a day. Moore says in the warrant that studies dating back to the 1990s showed further evidence of waste water seeping from the slag piles, but that the company did nothing about it until ordered to by Environment Canada. "I have reasonable grounds to believe Vale had knowledge of the seepage discharge, as previously described, and had failed to take action to address the seepage discharge until a direction was issued," wrote Moore. Vale lawyer Douglas Hamilton is quoted in the warrant as saying the runoff from the waste pile had not been identified as an issue. Following the events of 2012, Environment Canada directed Vale to take action, including installing additional water catchments, conducting further studies and drawing up plans to permanently capture the waste seepage. After Vale's offices were raided earlier this month, company spokeswoman Emily Robb said the matter under investigation "never posed a threat to health and safety in our community." 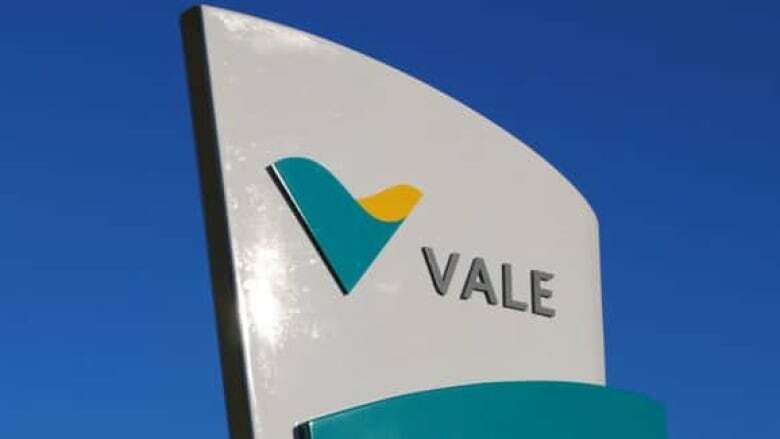 "When the issue that is presently the subject of investigation was discovered in 2012, in communication with government regulators, Vale immediately undertook measures to address it," said Robb. "We believed then, and believe now, that our actions were appropriate and responsible." The company declined to comment further because of the ongoing investigation. 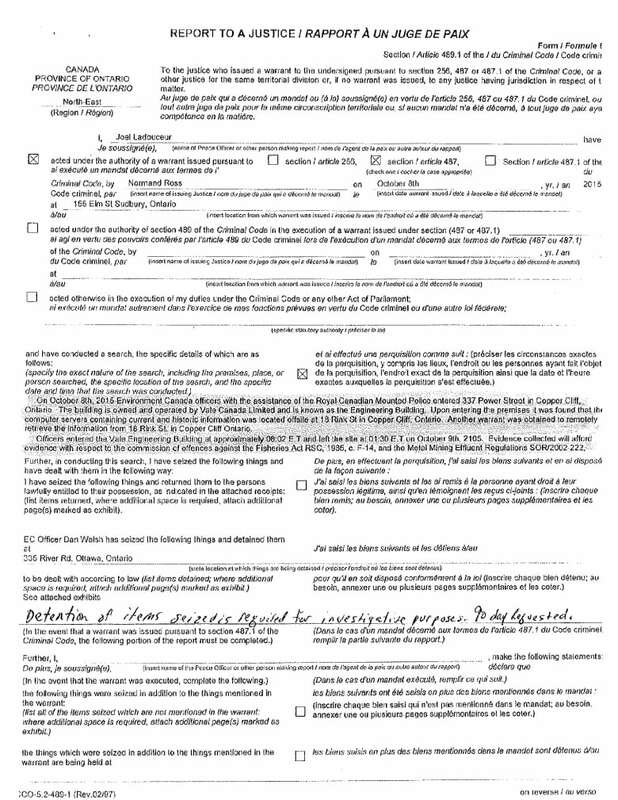 Below is only a portion of the search warrant obtained by CBC News. The allegations have been put forth by police and are unproven. CBC News has also received portions of the charges laid by police against Vale. 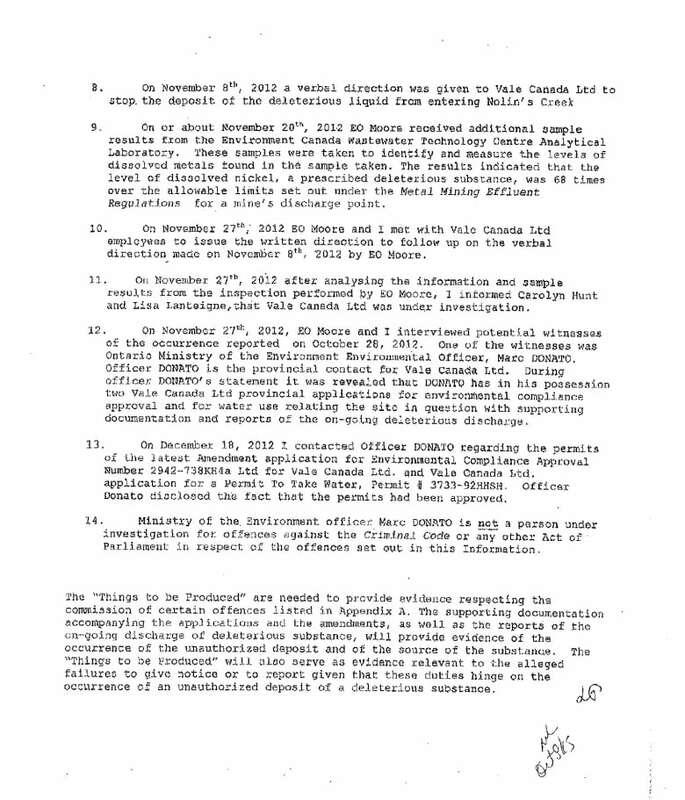 Again, the images below only show a portion of the documents, these allegations are unproven and it is police who are making these claims.